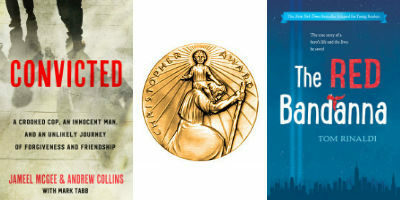 The 69th annual Christopher Awards, presented in New York City on May 17, celebrated and honored writers, producers, directors, authors and illustrators whose work “affirms the highest values of the human spirit.” WaterBrook’s CONVICTED: A Crooked Cop, An Innocent Man, and an Unlikely Journey of Forgiveness and Friendship by Jameel McGee and Andrew Collins with Mark Tabb won in the Books for Adults category. Viking Books for Young Readers’ THE RED BANDANNA by Tom Rinaldi won in the Books for Young People category. Warm congratulations to the authors as well as their editors and publishers. [caption id="attachment_113543" align="alignright" width="341"] Jameel McGee, Campbell Wharton, and Andrew Collins[/caption] CONVICTED is a remarkable true story about a man who chose to forgive the cop who falsely imprisoned him. As current as today’s headlines, this explosive story reveals how these radically conflicted men chose to let go of fear and a thirst for revenge to pursue reconciliation for themselves, their community, and our racially divided nation. 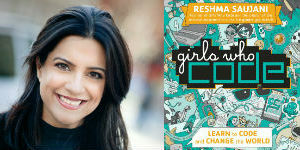 In the young readers’ adaptation of his New York Times bestselling Penguin Press book. THE RED BANDANNA, award-winning ESPN reporter Tom Rinaldi brings Welles Crowther’s inspirational story of selflessness and compassion to life. On a day that changed a nation, one young man found his calling. Welles didn’t see himself as a hero. He was just an ordinary kid who played sports, volunteered for the fire department in his town, and eventually headed off to college and then to Wall Street to start a career. Throughout it all, he always kept a red bandanna in his pocket, a gift from his father when he was little. On September 11, 2001, Welles was at his job on the 104th floor of the South Tower of the World Trade Center when the Twin Towers were attacked. What he did next would alter the course of many lives. That day, the legend of the Man in the Red Bandanna was born. View the complete list of 2018 Christopher Awards winners here. The Christophers, a nonprofit founded in 1945 by Maryknoll Father James Keller, is rooted in the Judeo-Christian tradition of service to God and humanity. The ancient Chinese proverb—“It’s better to light one candle than to curse the darkness”— guides its publishing, radio, and awards programs. 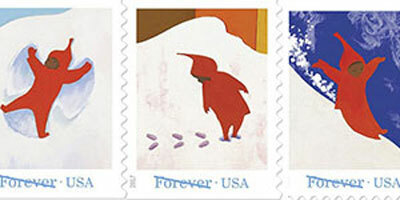 The United States Postal Service is featuring scenes from the beloved classic children’s book, THE SNOWY DAY, on their “forever” stamps. The stamps depict Peter, the main character of Ezra Jack Keats’ famous, award-winning Viking Books for Young Readers title, and will be dedicated at a free ceremony open to the public on October 4 at the Brooklyn Public Library in New York. THE SNOWY DAY was one of the first prominent 20th-century picture books centered on an African-American child, and went on to win the Caldecott Medal in 1963. 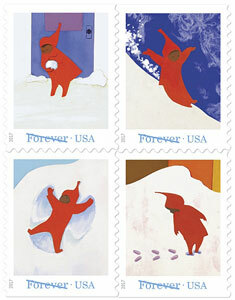 There will be four stamps based on the book, and each will feature Peter in his red snowsuit. Antonio Alcala was the art director for the project, and designed the stamps with Keat’s iconic illustrations in mind, including images of Peter forming a snowball, Peter sliding down a mountain of snow, Peter making a snow angel, and Peter leaving footprints in the snow. [caption id="attachment_7942" align="alignright" width="235"] Credit: United States Postal Service[/caption] Originally published by Viking Books for Young Readers in 1962, THE SNOWY DAY is about a young boy who wakes up one morning and looks out his window to see everything covered in snow. 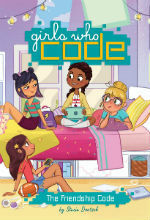 An adventure-filled snow day ensues! There are currently more than 6 million copies of THE SNOWY DAY in print in North America. The “Snowy Day” stamps are being pre-sold at the USPS website. Please feel free to attend the Snowy Day Forever Stamps First Day of Issue Dedication Ceremony at the BPL’s Central Library in the Dweck Auditorium on October 4, from 10:30 a.m. to 1:30 p. m. For more information, click here.